Back in 2016 when PlayStation released its VR headset, it was trailing about seven months behind its Oculus and Vive competition. The big question about console VR was: Can it be a legitimate VR competitor? Thankfully the answer was yes, but with a few caveats. When Nintendo announced its frankly surprising entry into the VR realm, the question was raised again in my mind. Is Labo VR a legitimate, competitive VR headset? This time the answer is unfortunately no, but that isn’t to say Labo VR isn’t without its fun. To get this out of the way first, Labo is always fun to build, and the VR Kit is no exception. The instructions are extremely detailed, easy to understand, and fun to use. I enjoyed building each of the pieces. Once you’ve built everything, the first surprise is that you do not strap the headset to your face. Instead you hold it up to your face and each of the Labo pieces are constructed in such a way that it accounts for you having to hold the Switch to your eyes. The Switch isn’t a heavy console, and the pieces are made of cardboard, but it can be tiring to hold the system to your face for an extended period of time. Playing with my daughter, she spent a lot of time drawing a 3D octopus using the art tools, and after awhile requested I hold the device for her while she drew, which was awkward. The advantage of holding it to your face is it makes the whole act of playing much more welcoming. You don’t have to strap in to play. You just hold it up. It also helps with nausea as it is much easier to take a break and you can adjust on the fly. The Switch’s screen resolution is lower than just about every other VR device, and the visuals are muddy as a result. Since you are sliding the Switch in and out of the headset, it is also much more prone to dust and fingerprints, which are extra noticeable when you are literally looking at the screen through a pair of magnifying glasses. The motion control mechanics of the system work well, so all the games play decently, even if they don’t look great. You don’t have 3D space movement, so getting up and walking around won’t drastically affect your perspective, but all of the games and toys account for this shortcoming and offer interesting experiences. Labo VR is a technical backstep to comparable VR technology, but Nintendo’s games have clever, fun twists to just about every experience available. There are dedicated games connected to each of the things you built, as well as some experimental physics playgrounds that are fun to mess around with using just the headset by itself. The blaster comes with an on-rails shooter that is simple, but fun. Instead of firing off direct-hit bullets, you are launching destructive balls with an arc, so it’s fun to figure out the angles. The Blaster also has built-in kickback thanks to a series of rubber bands and pulleys (that you put together), so firing the gun feels good. Probably the weakest of the bunch. 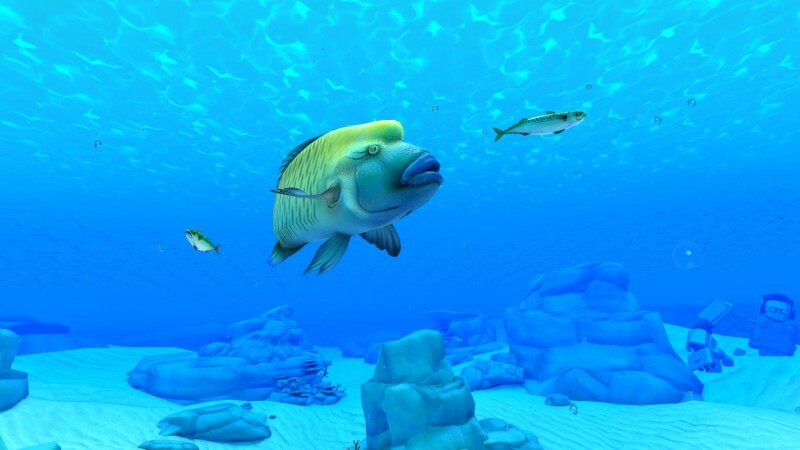 You can take photos with the camera and look around at fish. It’s more of a, “Hey! Look how this thing works!” kind of experience. The elephant includes a physics puzzle game, but the art tools are the most impressive bits. You can draw 3D objects using the paintbrush, and my daughter and I had fun passing it back and forth with the two-player, Pictionary-like mode where we had to guess what the other had drawn after being given a prompt. 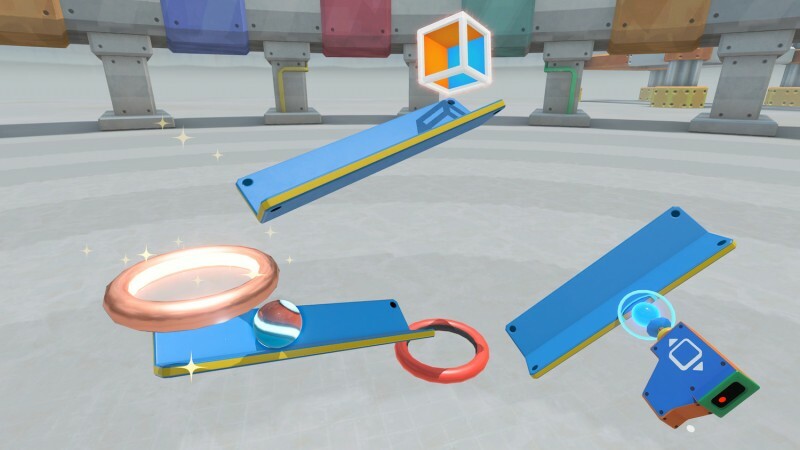 This was shown in one of Labo’s first reveals, and it’s always been a mysterious contraption. With it, you play as a flying bird in a large open area collecting things for the hungry hatchlings scattered about the map. This is the one that feels most like a long-form game that you could play and complete. To my surprise, this one was my favorite. It’s so simple, but so smart. You have a pedal in front on you on the ground attached to a big fan, and when you press down on the pedal, you are blasted with a gush of wind. In the affiliated game, you play from the first-person perspective of a frog trying to leap on to the top of a series of floating balls as they fly toward you. You leap when you press the peddle and the air blast makes it feel like you are flying through the air. It works well and legitimately made me laugh out loud the first time I used it. Labo VR has a few pricing options that let you pick up elements of the system piecemeal, but the full pack is probably the best bet. They all require a Switch console (sold separately). This includes everything. The software, the headset, the blaster, the camera, the elephant, the bird, the wind panel, and few other additional pieces of cardboard for your creative pursuits. This kit includes the software, the headset, and the blaster. As the name implies, this will get you started. The price is nice on this one, but you need the headset and software in order to take advantage of it. Those crucial pieces are not included. This is a set you would purchase after buying the Starter Set. See the description above. This kit also assumes you have the Starter Set, but it has the bird and wind pedal instead of the camera and elephant. Labo continues to be one of the most bizarre experiments in Nintendo’s library of experimental hardware and software. 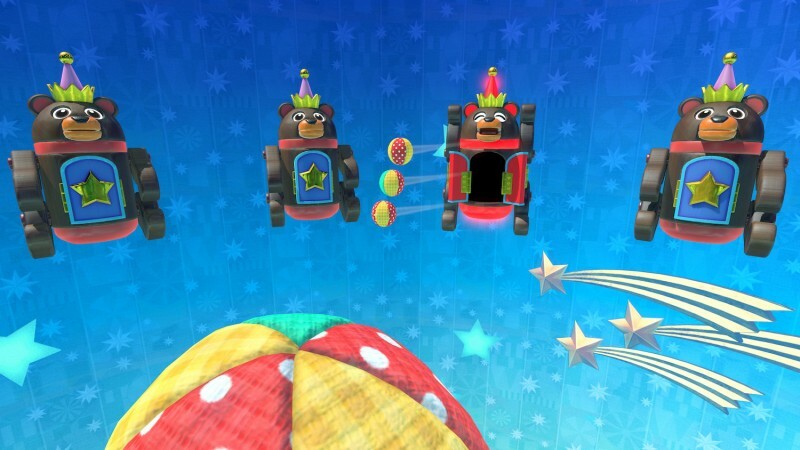 In terms of it being an actual game, it rests somewhere above the introductory Labo Variety Kit, which was mostly creative software, and below the Labo Toy-Con 03: Vehicle Kit, which offered a big open area for you to explore with an assortment of vehicles. It’s not surprising that Labo VR cannot compete with the likes of Oculus, Vive, and PlayStation VR, but I was impressed by the software and the general cleverness of how it all works. The price point is welcoming for Switch owners who want to experiment with VR, and with a 7+ suggested age rating, it’s the best VR for younger players (other headsets typically suggest players be at least 12 years old). Labo VR is a novelty, to be sure, but it knows its limitations and constructs some fun experiences within those boundaries. Where’s Our Generation Zero Review?